fairplay is partner of an Erasmus+ project raising awareness on homphobia and discrimination because of gender identity in sport. The Outsport project – “Innovative and educational approaches to prevent violence and tackle discrimination in sport based on sexual orientation and gender identity” – is co-financed by the European Commission through the Erasmus Plus program. The project seeks to address homophobia and transphobia in sport through communication, awareness raising, training and scientific research, and by using sport itself as a tool. Outsport is the first initiative at European level to gather scientific evidence about discrimination based on sexual orientation and gender identity in sport, and to set itself the ambitious aim of enhancing the sportsworld as a place of training and contrasting discrimination in continuity with the school and with the family. Outsport involves five European countries: Italy, Scotland, Germany, Austria and Hungary. The German Sport University Cologne will lead the scientific research part of the project. The first objective is to collect reliable data about the experiences of discrimination based on sexual orientation and gender identity of LGBTI athletes in different fields of sport in Europe. The second aim is to explore the role of relevant stakeholders in the field of sport for tackling discrimination and homophobia in sport. 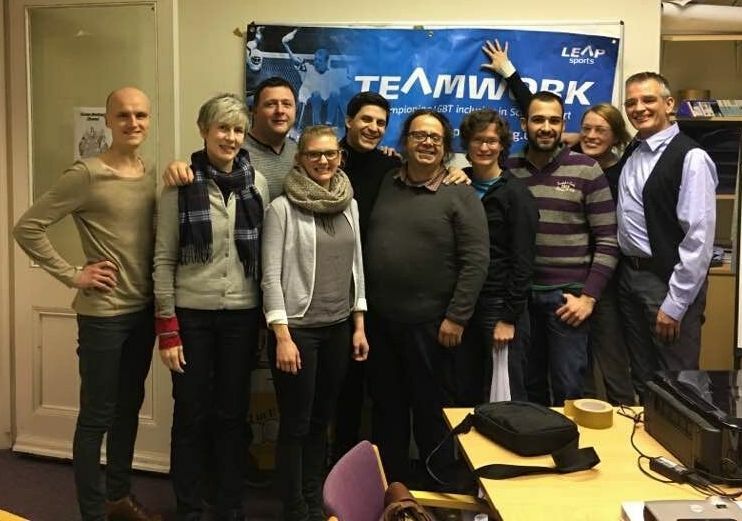 Foster capacity building and education against intolerance and discrimination for coaches and staff of the organisation by developing a training toolkit for sport operators to promote an innovative approach to tackle hate crime and discrimination based on sexual orientation and gender identity in sport. Developing and proposing new guidelines concerning LGBTI rights into the next EU Work Plan for Sport, which shall be based on the principles of the EU Gender Equality Strategy and the other legal basis of the EU. Gay, lesbian, bisexual, transgender and intersex people have typically the same skills in sports heterosexual people do. Unfortunately, sports are often affected by sexism and homo/bi/transphobia, just like any other social space. That's why, according to the European Agency for Fundamental Rights (FRA, 2014), 42% of 90.000 LGBTI people interviewed throughout Europe do not consider sports clubs as places where they can be openly LGBTI. Many LGBTI people do not feel safe, accepted, or comfortable in the sports environment. This leads to a higher abandonment rate of sporting activities by LGBTI people with both short and long-term effects on their well-being. Any environment that is homo/bi/transphobic, sexist and in whatever way hostile to diversity and LGBTI people restricts freedom of expression and everybody’s chances to give their real best in and out of the field. Relationships between teammates and/or coaches, staff, fans, families can be damaged and the whole team can lose opportunities. Homo/bi/transphobia can affect anybody, hetero and homosexual people, best players and champions - it can affect coaches, staff, families and can have short and long-term consequences not only on the direct victims of discrimination but on the whole team.